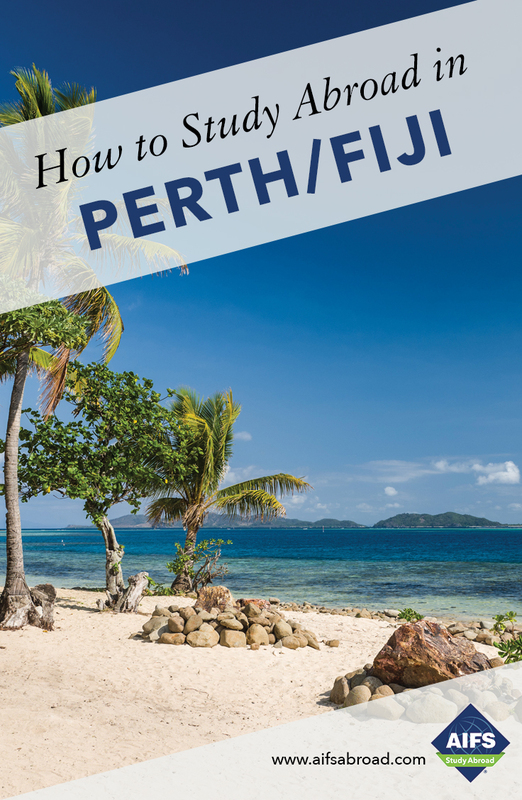 Included in your program are a range of free and subsidized cultural activities arranged by both AIFS and Murdoch University which focus on Perth and wider Western Australia. Such experiences outside of the classroom setting will deepen your social, historical and cultural understanding of Australia and its people. Trek through sections of the labyrinth of tunnels on foot, then board the replica convict punts to explore the submerged passageways accessible only by boat. Discover original blast holes, bores, oil lamp recesses and artefacts from the days when working in the tunnels was hard labor for prisoners. Enjoy a cruise along the magnificent Swan River between Fremantle and Perth taking in the stunning scenery and beautiful leafy suburbs facing the river as you wind your way up river. Hopefully, you will see the namesake icons – the Black Swans and a playful dolphin or two. As you near Perth city you will pass by the historic Swan Brewery before heading under Narrows Bridge and seeing the spectacular Perth Skyline open up. Offered in the heart of Fremantle and gives students a chance to try a traditional and iconic indigenous instrument. Students create their own traditional dot painting on a boomerang. The following activities and excursions are examples of those which have been organized by Murdoch University. Students sign up for events during the second week of the semester, some are free and some require a supplemental fee. Visit this maritime port city which bustles with activity. You haven’t experienced Western Australia until you have indulged in fish and chips by the ocean or shopped on Fremantle’s famed old streets. The ‘Freo markets’, as they are affectionately known, offer you one of the best shopping experiences in WA. Find your way through the narrow alleyways between bush art, antiques and boho fashion, while lapping up the tasty treats and fresh organic produce on display. Don’t forget to enjoy the alfresco dining and live music on offer at the multitude of outdoor boutique bars and restaurants. Perth has some of the best beaches in Australia, and Cottesloe Beach is certainly in that category. It offers one of the finest examples of beaches where you can enjoy the water or bask in the sunshine. With tireless stretches of clean sandy beaches, vibrant blue skies and heart-warming sunshine, there isn’t much not to like. Pack your swim suit, sunscreen and sunglasses and enjoy a lazy day at the beach, culminating in a sunset that will take your breath away. Visit this spectacular wildlife park, the premiere development of its kind in Western Australia. It features around 200 species, and more than 2,000 animals, birds and reptiles; most housed in a walkthrough environment. You can meet Australia’s native bear, the koala, feed kangaroos, see the emus and try your hand at sheep-shearing or milking a cow. Nothing beats the excitement of listening to, finding and watching a spectacular waterfall. We will visit Bells Rapids where the Avon and Swan Rivers meet, Noble Falls, National Park and Hovea Falls in the John Forrest National Park, Lesmurdie Falls and the tallest waterfall in Perth, Sixty Foot Falls. Listen to the relaxing sounds of the falls, take in the breathtaking beauty and enjoy panoramic views across the coastal plain to the City of Perth. Western Australia’s most iconic island, home to the famous and happiest marsupial, the Quokka, enjoy coastal bike rides, snorkelling, lighthouses and beautiful island views. Students sign up on arrival and pay Murdoch University directly if they want to join the optional excursions listed below. The prices listed are in Australian dollars (AUD); they are approximate and subject to inflation. Exact fees will be confirmed upon arrival in Perth. This once in a life time experience has been the highlight of many AIFS student’s experience in Western Australia. Monkey Mia, Shark Bay is World Heritage listed and is one of only 12 places in the world to have satisfied all that is required for the honor. The main attraction here is the dolphins which swim close to the shore to greet you, hoping to be fed. Along with the dolphins live other marine life such as the Dugongs, called the ‘Mermaids of the Sea’, turtles and giant rays. You will also have the opportunity to snorkel in this most well known marine park, the Ningaloo Reef, which is also a World Heritage site. Home to as many as 500 species of tropical fish and 200 species of coral, it is 260km in length and runs alongside white sandy beaches and turquoise waters. The reef is also home to the migratory ‘gentle giant’ of the sea, the whale sharks, as well as the humpback whales which cruise just beyond the reef during the months of July, October and November. The highlight of the excursion is Karijini National Park. Hidden amongst Western Australia’s mining towns, this area is untouched and pristine in beauty. Very remote in location, you will get a sense of being in the middle of nowhere and at the same time, feel like staying forever. While taking your breath away with the splendor of gorges, flora and fauna, it will also give you the opportunity to swim in sparkling freshwater pools that have to be seen to be believed. The hikes and trails through the gorges are challenging as well as breathtaking, with magnificent scenery, Aboriginal drawings and various species of wildlife. These rocky gorges are billions of years old and you will marvel as you stare at their formation. Fee includes transportation and guides, all meals and accommodation, camping fees and supplies, park entrances and touring. Fee does not include additional activities offered during the trip. This excursion will run twice during each semester. Early morning departure to the beautiful seaside town of Busselton, home to the famous Busselton Jetty, the longest timber piled jetty in the Southern Hemisphere. Here you have the chance to take a train ride out to the end of the jetty and experience the Underwater Observatory, take a walk on the jetty or swim in the crystal waters of Geographe Bay. From there, head further south to Dunsborough and the spectacular waters of Meelup Beach where you can enjoy free time to swim or explore the rocks surrounding the beach. Lunch will be under the trees overlooking the picturesque bay. In the afternoon, take a scenic route around Eagle Bay exploring Cape Naturaliste and its lighthouse, before heading towards Yallingup and the breathtaking Canal Rocks. Get a taste of local flavor with visits to a local winery and brewery. We will then briefly stop in Dunsborough to stock up on supplies before heading to our campsite for dinner. The next day head to the Ngilgi Caves. After a guided tour of the underground caves head to famous Caves Road towards the surfing town of Margaret River, stopping at the beautiful holiday town of Gracetown for a quick swim (weather permitting). Enjoy lunch at Eagles Heritage Raptor Park giving you a chance to interact with some of the most spectacular birds of prey, home to the largest collection of eagles, hawks, falcons and owls in Australia. After lunch, stop at a local winery then head on to the famous Prevelly Beach where the Margaret River Pro Surfing tournament is held each year. Enjoy free time to wander through the township of Margaret River before heading back to Perth. Itinerary is a guideline only and will depend on weather conditions. Fee includes transportation and guides, 4 meals, camping fees, all national park entry fees and additional touring. Fee does not include optional tour of Busselton Jetty Underwater experience or optional entry onto Busselton Jetty. This excursion will run twice during each semester.